For some people the end of the summer is marked with prepping the kids for a return to school, brand new squeaky, shiny shoes and the latest Disney lunch boxes in tow. For others, it's Saturday evenings on the sofa with Strictly and X-Factor as the nights draw in. And for me, it's delving into the deepest recesses of our cupboards for darker sugars and warming spices, ingredients that herald a return to Autumnal baking. The dregs of the summer fruits, the tart raspberries and tasteless strawberries, are finally put aside in favour of juicy plums, ripe blackberries, dusty blue sloes and crunchy British apples. 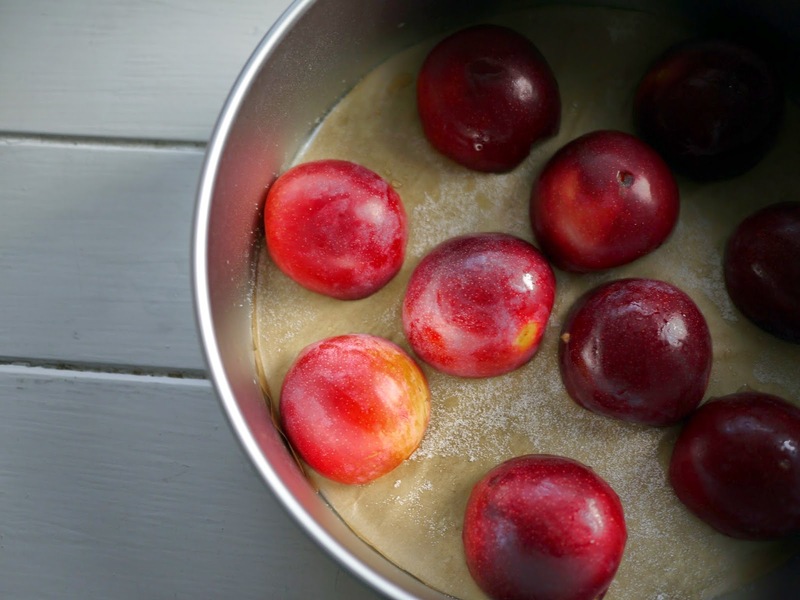 Recipes for summery, frozen puds discarded for the next ten months as taste buds turn to wholesome, comforting cakes and bakes. Such as this one. 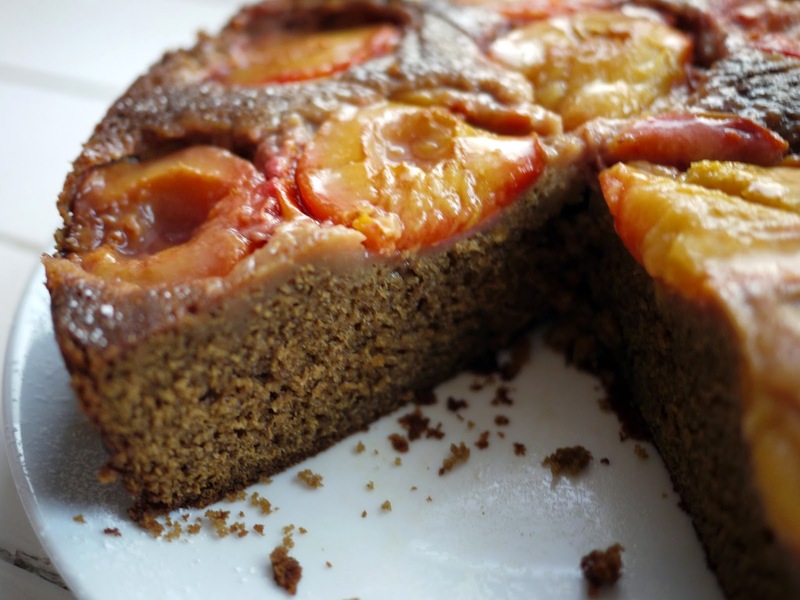 An Autumnal, sticky gingery cake studded with golden plums. 4. Cool in the tin for ten minutes before inverting onto a wire rack to cool completely. I've adapted this from a BBC Good Food recipe. I used a round tin, added treacle for a dense, sticky sponge and upped the ginger with the addition of the stem balls. What are your favourite Autumnal bakes? This sounds so lovely and comforting. I'd love a piece on its own, or with a drizzle of cream =) I'm eager to get baking things for the new season because I'm craving crumbles and fruit cakes at the moment, even though I've still got a couple of courgette experiments I want to try! I love this time of year too- so many lovely ingredients to choose from! Muscovado sugar fan here, too! Oh Kate this looks lovely, great flavours! I made a very similar cake this weekend - you're right, it's perfect for autumn! This sounds utterly divine. I just for the new Downton and Strictly to start and Autumn will have officially begun! Lovely cake with great autumn flavours. Haha- I think we did!